What are the topics for chemistry for CU SAT exam? Hi Arvind, topics which you need to refer in chemistry for CUSAT CAT exam are comprising of Solution, Hydrogen, Polymers and many more. You can have a look at the topics and details in the Syllabus of CUSAT CAT. What is the syllabus for Physics for CU SAT exam? Hi Shail, physics is having topics in it such as Kinematics, Law of Motion, Gravitation and many more. You can have a look at the complete topics and other details in the Syllabus section of CUSAT CAT. QWhat is the eligibility criteria for LLB course? QWhat should an MBA candidate qualify ? Qthe exam date for CUSAT CAT is?? the exam date for CUSAT CAT is?? 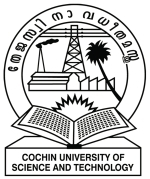 CUSAT CAT Examination will be held in the month of April. Qwhen will the online registration start?? when will the online registration start?? Online Registration starts for CUSAT CAT, LET and PG programmes including M.Tech and MBA programmes will start from the month of February, 2019. QI will be of 16 years age at the time of CUSATCAT 2019. Will I be eligible to appear for the exam? I will be of 16 years age at the time of CUSATCAT 2019. Will I be eligible to appear for the exam? Sorry, you are not eligible for CUSATCAT 2019, as minimum age required is 17 years. To check eligibility criteria, click here. QWhen will CUSATCAT 2019 application form release? When will CUSATCAT 2019 application form release? What is the application process? CUSATCAT 2019 Application form will release on 7th Feb 2019. To know about Application Process, click here. QWhen will the CUSAT CAT 2018 counselling begin? When will the CUSAT CAT 2018 counselling begin? The CUSAT CAT 2018 counselling will tentatively begin from 22nd May 2018. Click here to know about the CUSAT CAT 2018 counselling process.